Unique recipes, high quality raw material and appropriately selected compositions of herbs and spices – this is the secret of the rich flavor and aroma of meat products from Europe. Aromatic sausages, juicy ham and tasty salami are excellent examples of European specialties known all over the world. Traditional recipes for pork and beef products are a constant inspiration for European producers. The ancient tradition of making sausages and the butcher’s craft, which has been perfected for centuries, reached for the richness of herbs and spices perfectly complementing the meat, such as rosemary, thyme, savory, juniper, parsley or garlic. With the development of trade with the Far East, oriental spices and herbs were added to sausages and cold meats, and, in search of new flavors and aromas, experiments were carried out on smoked meat products using various types of wood, especially from deciduous and fruit trees. Over the centuries, Europeans have perfected methods of processing and seasoning meat through maturing, curing, smoking, drying, roasting and cooking. Today, EU meat plants skillfully combine culinary heritage with modern, advanced technologies to provide consumers with sausages of exceptional quality, taste and aroma. Today we can say that, based on centuries of practice, European producers have mastered the art of producing cold meats and sausages. Thanks to this, we can be proud of products appreciated for taste and quality all over the world. 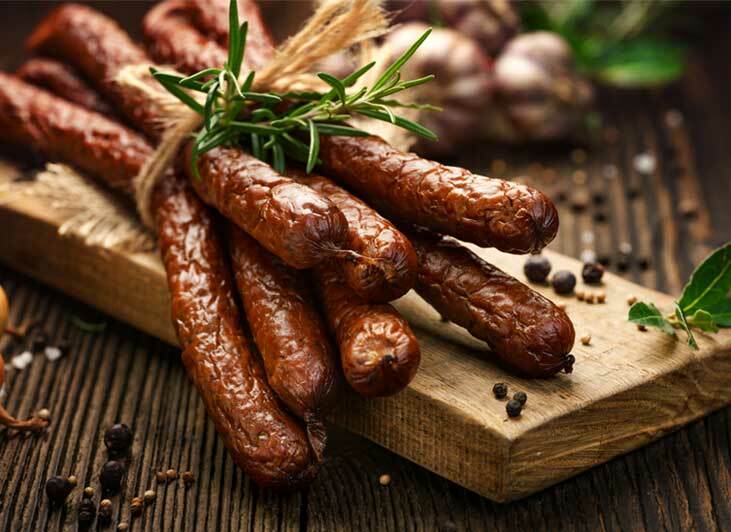 The secret of European sausages is carefully selected raw meat and a refined production process ensuring not only taste and safety, but also quality expressed in terms of naturalness and high meat content. Responding to changing consumer expectations and trends in nutrition, European producers improve the production of cold meats, prepared according to traditional recipes based on natural ingredients. The culinary diversity of the countries of the Old Continent is reflected in a variety of excellent flavors and a rich assortment of pork and beef products.